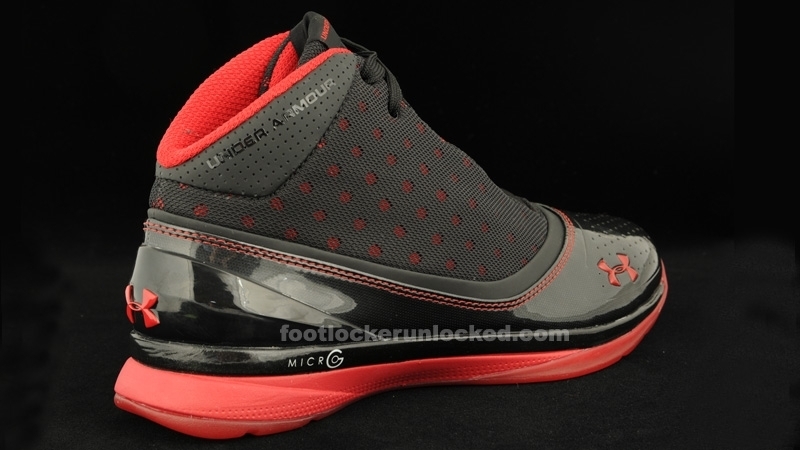 Under Armour's Micro G Blur is available at Foot Locker stores now. 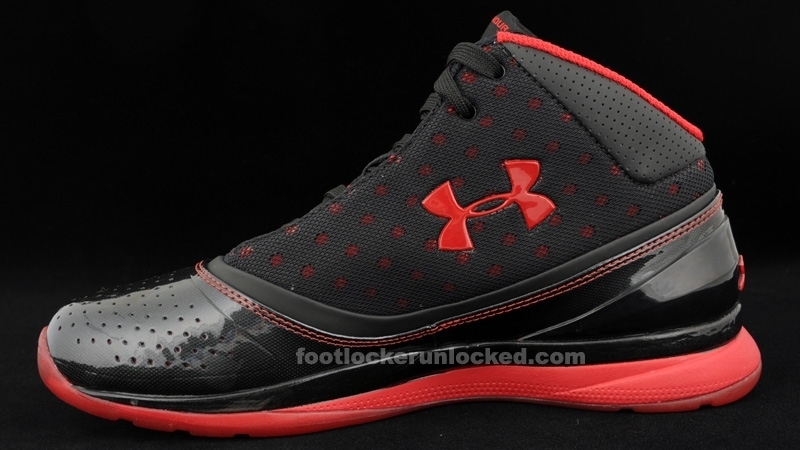 This past weekend finally marked the debut of Under Armour Basketball footwear. Included in their launch roll-out were 4 styles; the Micro G Black Ice, Micro G Lite, Micro G Fly and Micro G Blur. 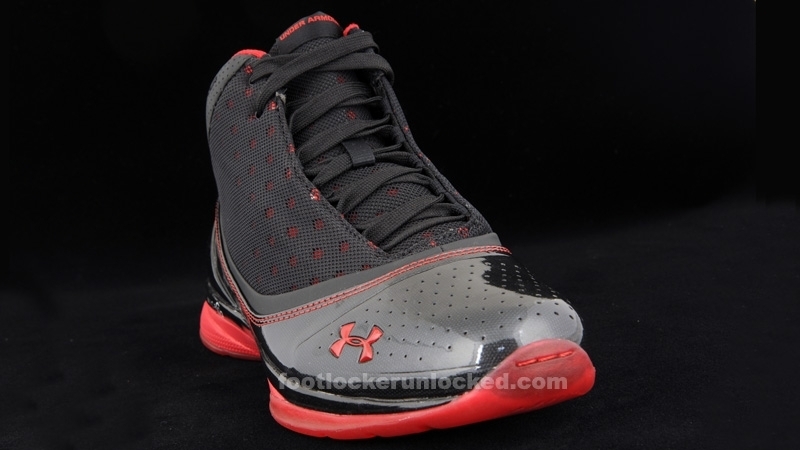 However, if you stopped by Footlocker.com or Eastbay.com to pick up the Micro G Blur, you probably noticed it missing from the lineup of available shoes. That's because Foot Locker is only carrying the shoe in-store. Being the most affordable pair in the group may be worth the trip though. The Micro G Blur features a sleek build geared toward enhancing speed. Black perforated Skeletex material works the upper, while patent leather wraps around the base. 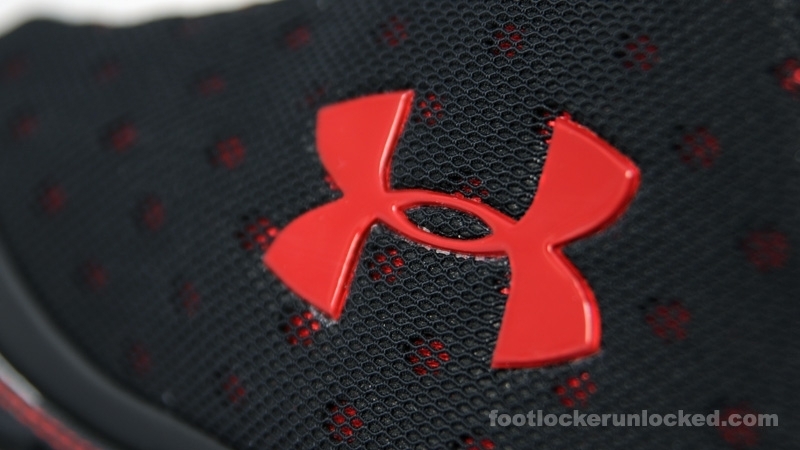 Red works a contrast stitch on the upper, as well as branding on the toe, tongue, medial side panel and heel. 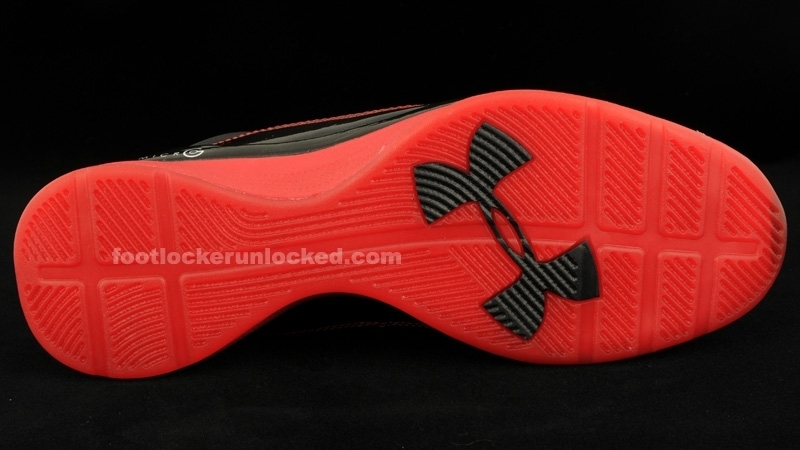 Black and red team up for a Micro G cushioned midsole, while a semi-translucent red outsole completes the look. 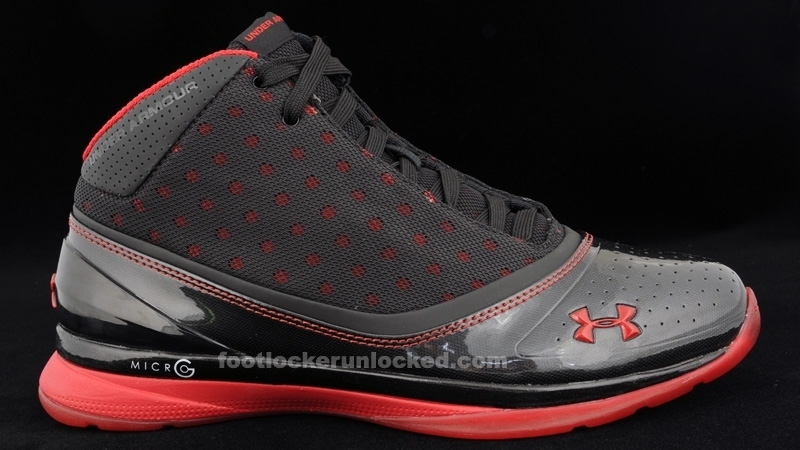 You can get the Micro G Blur at Under Armour or stop by your local Foot Locker.